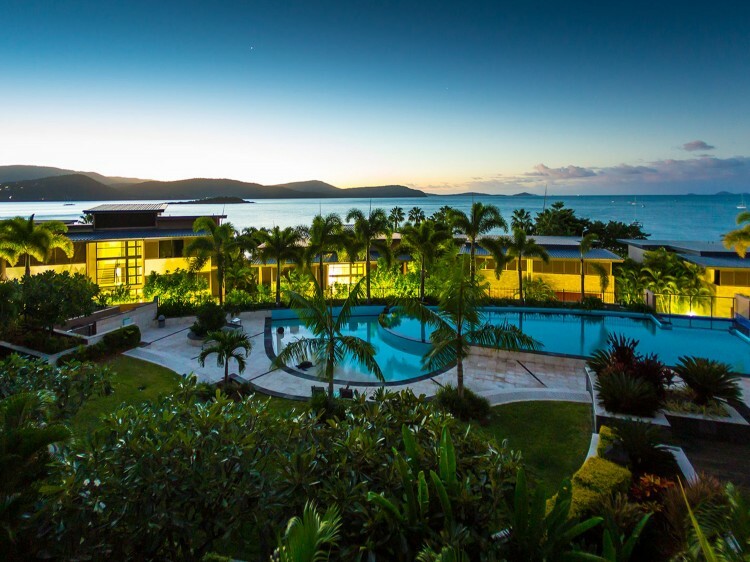 Mirage Whitsundays offers serviced apartments in the heart of a stunning resort located on the serene waterfront of Airlie Beach. The resort provides luxurious contemporary living ensuring that you won’t want for anything in the self-contained, opulent apartments, villas and penthouses. Spend time cooling off in one of the large, enticing swimming pools or relaxing on a sun lounger in the sunshine. The lagoon swimming pool is perfect for family fun with a spa to relax in, while the Horizon Pool is perfect for guests wanting secluded relaxation. Mirage Apartments are spacious north-facing one, two and three-bedroom self contained apartments, flooded with natural light and framed by breathtaking views. With generous living areas leading out to terraces perfect for entertaining, they have been designed to capture the very essence of indoor/outdoor living. Offering two bathrooms, a separate study area and modern kitchen fitted with stainless steel Miele appliances, this is indeed refined and luxurious apartment living. Deluxe Apartments are guaranteed a high floor and Coral Sea Views. Mirage Villas are endowed with vast living areas that spill out on to private terraces, a plunge pool and tropical gardens the stunning villas truly combine luxury and contemporary living. Laid out over two or three storeys, and comprising three bedrooms, three bathrooms and an epicurean kitchen fitted with Miele appliances, the villas are nothing but an indulgent and luxurious pleasure to soak into. 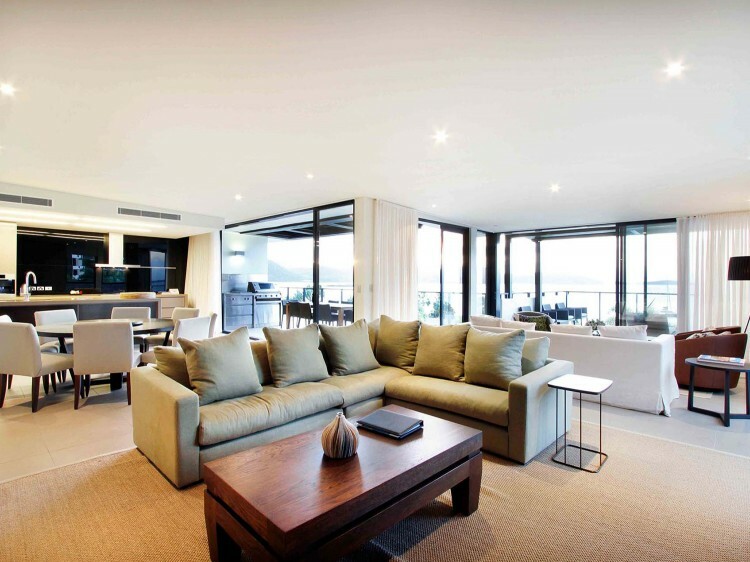 Mirage Penthouses represent some of the most exclusive accommodation in the Whitsundays. Offering four-bedrooms each with its own en-suite, a separate toilet, vast open living spaces and generous entertaining decks complete with a private 10m long lap pool, these impeccable penthouses are the very best in luxury living with extraordinary 180 degree views. 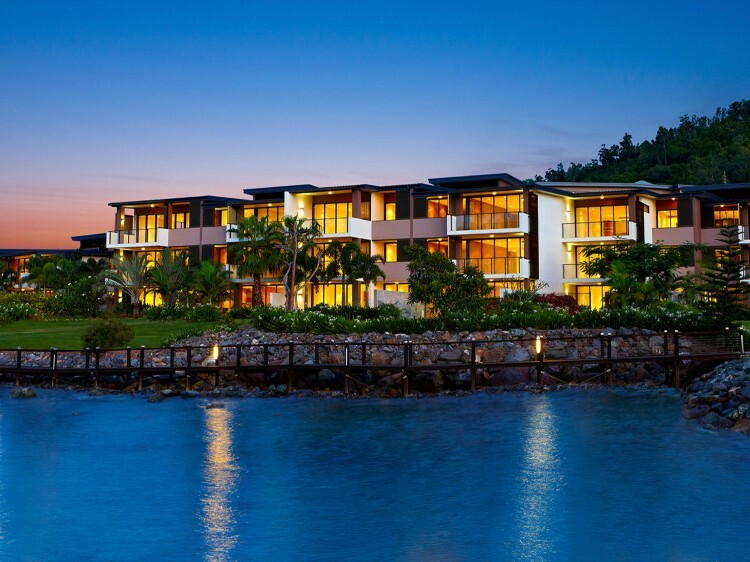 Mirage Whitsundays will open a new restaurant, gymnasium and Day Spa in 2017.